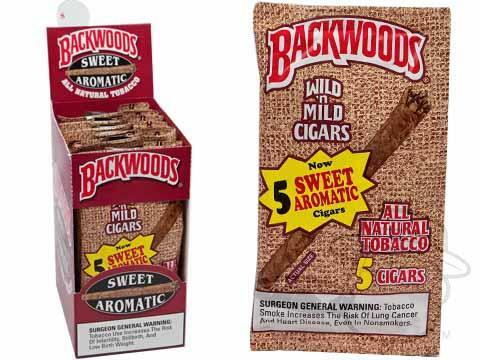 Backwoods Cigars are made from all-natural tobaccos manufactured by Altadis U.S.A. in the Dominican Republic. 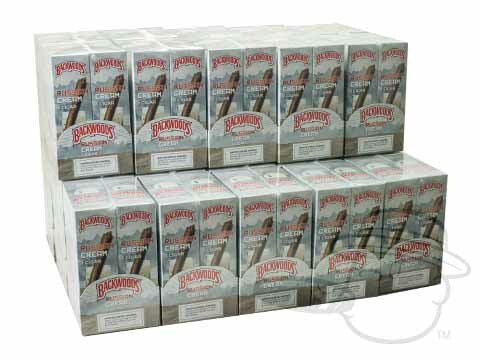 These cigars offer a mild smoke blending well with the natural flavor from the Connecticut broadleaf wrapper leaf. 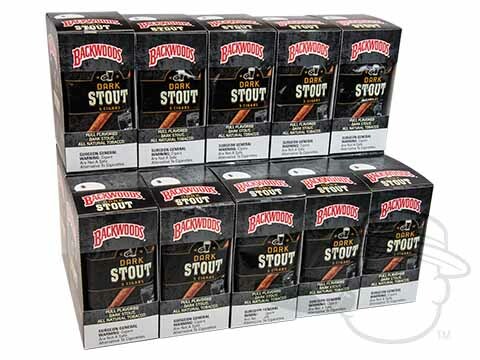 Experience its taste and aroma in flavors including Sweet Aromatic, Dark Stout, Black ’N Sweet, Russian Cream, and more. 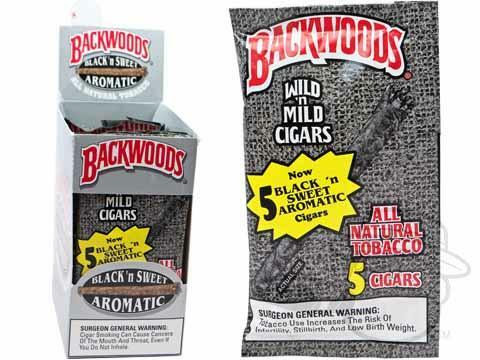 Backwoods Cigars are available in cases, packs, and singles measuring 4 ½-inch in size. 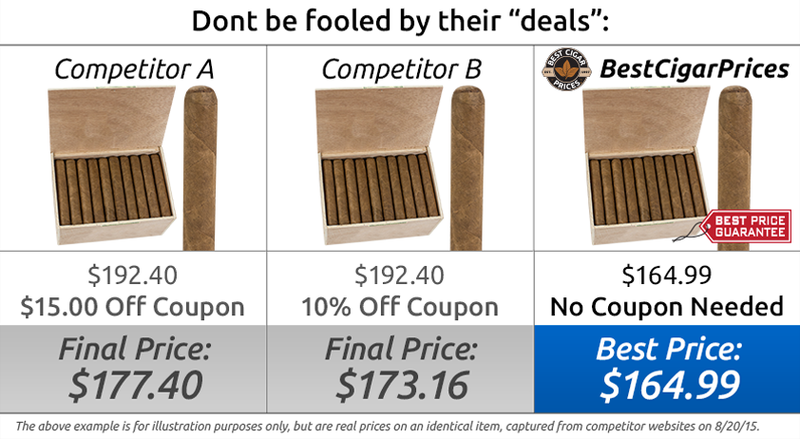 Find the lowest prices on cigars at Best Cigar Prices. 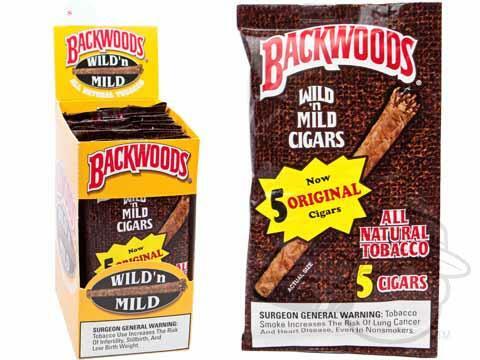 Attention valued customer: All Backwoods cigars are currently out of stock nationwide due to extended manufacture’s delay. 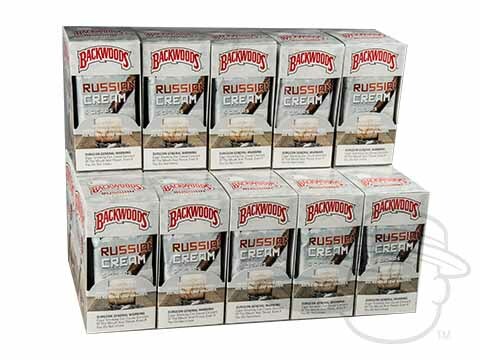 There is no firm date when we will receive product from the manufacturer. 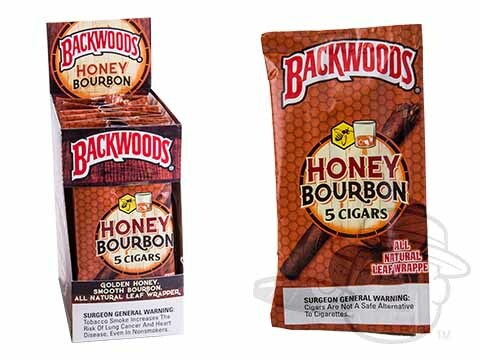 We apologize for your inconvenience and invite you to check out our alternatives to Backwoods Cigars by clicking here! 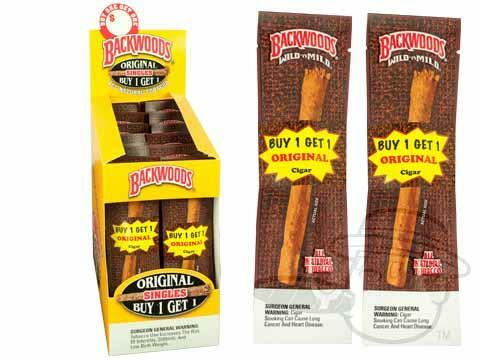 The Original Backwoods cigars are the ones that started it all. 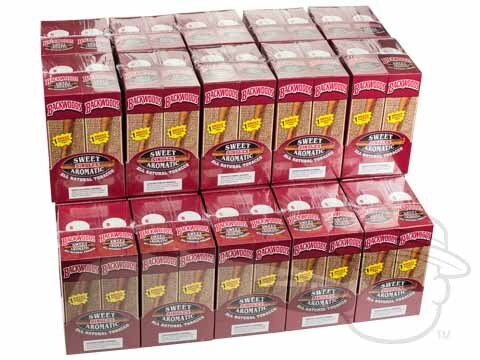 These rich and aromatic smokes sport a rough hand-rolled look and deliver hearty flavor in each puff. 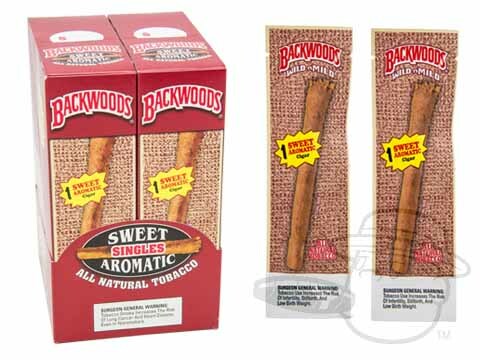 One of the sweetest Backwoods cigars, the aptly-named Backwoods Sweet Aromatic cigars are smooth and mellow with a sweet tobacco taste and fantastic aroma. 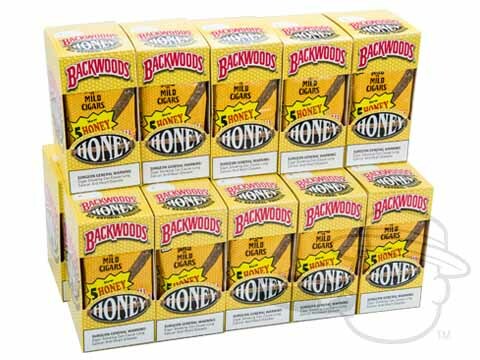 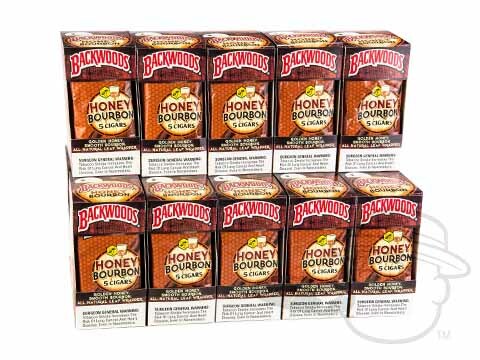 Backwoods Honey cigars strike a perfect balance of sweet honey taste and natural tobacco flavors for an easy-going smoke with satisfying and rich character. 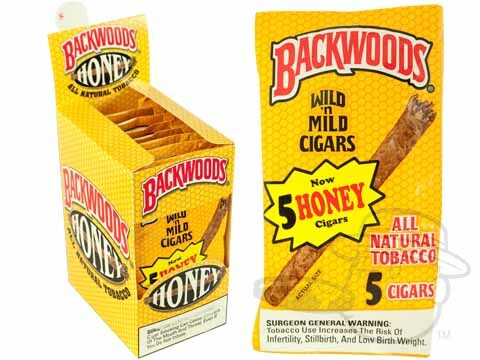 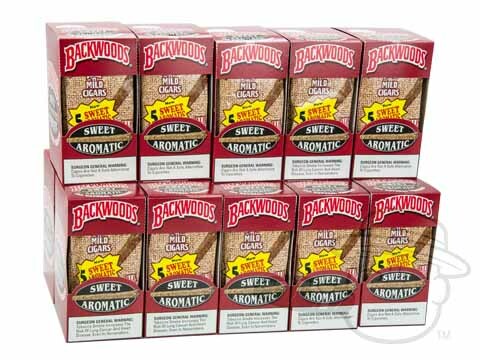 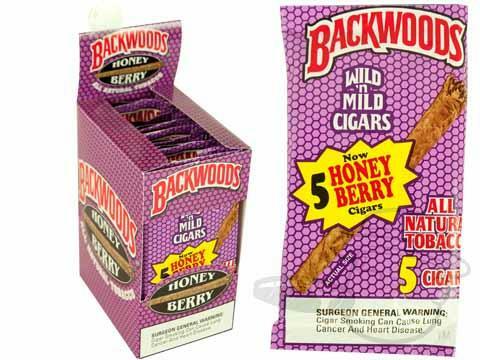 An excellent Backwoods cigars choice for the flavored cigar aficionado, Backwoods Honey Berry cigars present an awesomely flavorful smoke at an affordable price. 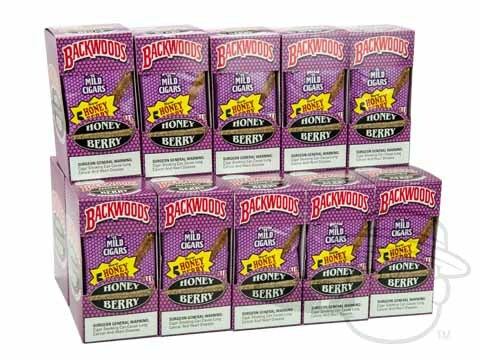 The taste of fresh-picked berries and sweet honey comes through from the time you light up until you set down the nub. 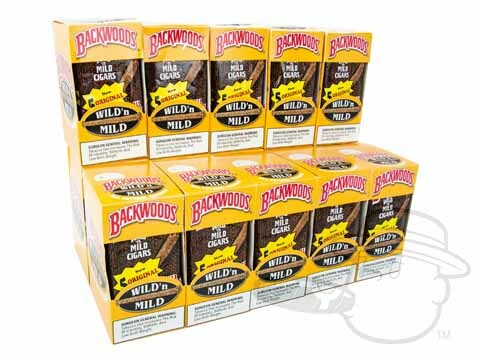 Backwoods Black ‘n Sweet Aromatic cigars are made using blackened natural tobacco leaves for a dark, sweet taste and enticing aroma. 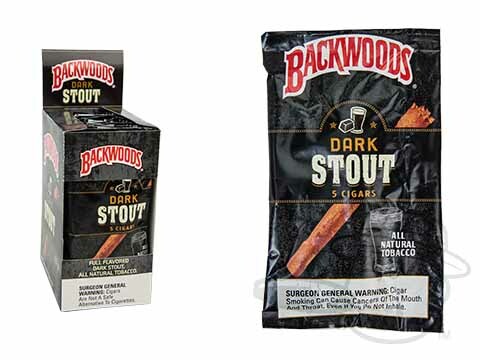 Backwoods Black ‘n Sweet Aromatic is a great choice for those seeking a Backwoods cigar with supreme smoothness. 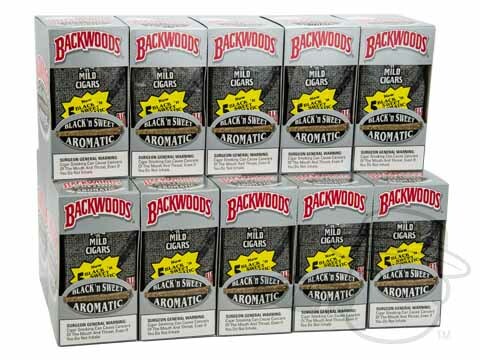 Best Cigar Prices proudly offers a wide selection of boxes of Backwoods cigars for sale at massive discounts. 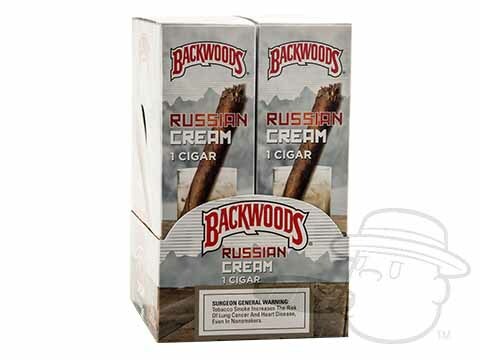 Get your Backwoods cigars at the lowest prices online right here @ Best Cigar Prices.